A pair of Trump associates discussed offering the penthouse apartment in Trump Tower Moscow to Russian President Vladimir Putin, a source familiar with the prospective deal told ABC News, which would have amounted to a $50 million gift to one of the United States' key geopolitical adversaries. Felix Sater, who scouted deals for the Trump Organization, and Michael Cohen, Trump's longtime attorney and confidant, conceived of the plan in 2015, the source said, calling it a marketing ploy to drive interest in their massive new Trump-branded development, which was designed to be the tallest building in the world. But if the Trump Organization ever pitched the proposal to the Kremlin with an intention to curry favor with Russian officials, it could be grounds for a federal bribery case under a law called the Foreign Corrupt Practices Act (FCPA), several legal experts told ABC News. Neither Sater nor Cohen has said publicly if the offer was ever floated to the Kremlin. In court filings detailing his plea agreement with special counsel Robert Mueller, Cohen admits that he communicated with the office of the Russian president in January 2016, specifically the personal assistant to Dmitry Peskov, Vladimir Putin's press secretary. "Short of being a canvas bag of money, this sounds like a high value gift to a government official for the purpose of gaining an improper business advantage," said Mark Matthews, a former financial crimes prosecutor with the Department of Justice who is now in private practice at Caplin & Drysdale. "A scenario like this raises all the classic warning signs of a foreign corrupt practices act violation." A source close to the Trump Organization told ABC News the penthouse idea sounds to him like "pure fantasy." "No one at company ever heard of any of this until reading it in the press," said the source, who asked not to be named because he was not authorized to discuss the matter. "It all appears to come from a private communication between these two individuals. The project never even got past a non-binding letter of intent. It never went anywhere." Last summer, the public first learned that Cohen had been pursuing a deal to build a Trump Tower in Moscow even after his boss had begun to campaign for president. At the time, Cohen told members of Congress the deal never progressed beyond an initial "letter of intent" and it was halted in January of 2016, before the Iowa caucuses. Last week, however, Mueller's team released a plea agreement with Cohen in which he admits those discussions went on well past January, until at least June of 2016, and the discussions included multiple conversations with then-candidate Trump and members of his family who work at the global real estate firm. Still, much remains unknown about the plans for Trump Moscow, including who was involved in the discussions and over exactly what time span. President Trump dismissed the significance of the latest revelations in a tweet Friday morning. "Lightly looked at doing a building somewhere in Russia. Put up zero money, zero guarantees and didn't do the project," he wrote. Experts on the FCPA contacted by ABC News were divided on whether such a proposal could spur legal action against the Trump Organization. The act makes it illegal for U.S. citizens or companies to make payments or promises of gifts to a foreign official for the purpose of influencing that official. No gift has to be given; the offer alone can be a violation. According to Joshua Roth, an expert in FCPA at the law firm Fried Frank, the claims "sound potentially problematic" if an offer was made with a "corrupt motive." "Even if you speak in a hypothetical sense, it can be an FCPA violation if it's a thinly veiled offer," Roth said. "Everything comes down to intent." Matthews, who once handled such cases at the Department of Justice, said a key question would be whether the penthouse offer was intended to prompt Putin to take actions favorable to the Trump Tower developers. Investigators would look for evidence of that intent in contemporaneous correspondence, emails, cell phone records - perhaps including the volumes of Cohen's business and personal records seized during an FBI raid of his home and office in April. But Mike Koehler, an FCPA expert and professor at Southern Illinois University School of Law, said there has to be a clear offer or payment of a bribe. "This is an interesting story with potential FCPA implications, but at present I don't see any viable FCPA violations," Koehler said. "Merely brainstorming, thinking out loud, or floating ideas does not fit the bill." 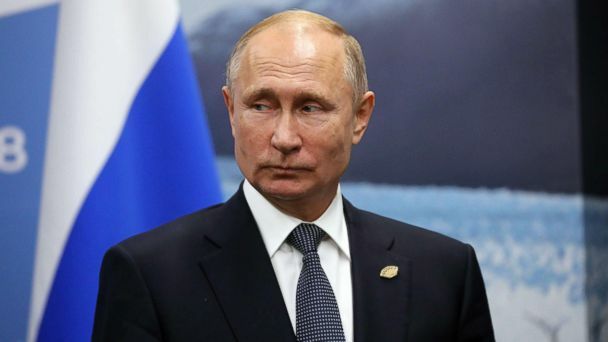 Even then, Koehler said, if they offered Putin the apartment merely as a marketing ploy, and not to influence the Russian leader, then it would not be illegal. "What did the Trump Organization seek to gain and what decision by Putin did it seek to influence?" Koehler questioned.